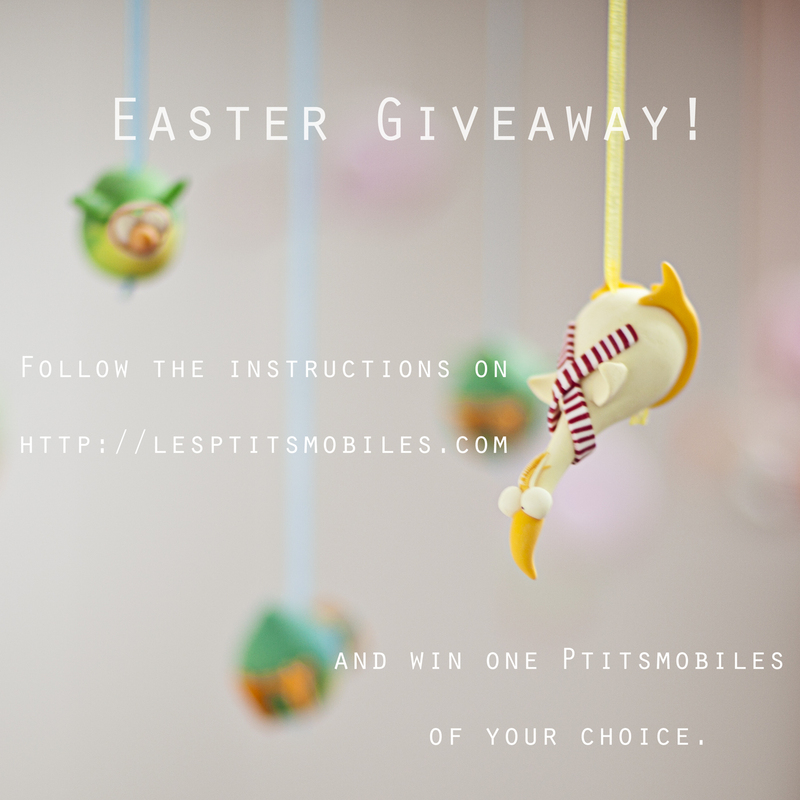 Hello sweet people 🙂 I think it’s about time for me to organize a little Easter giveaway 🙂 The price will be one mobile of your choice from the online shop, and all you’ll have to do, is: 1- To like the Ptitsmobiles’s page on Facebook : https://www.facebook.com/pages/Lesptitsmobiles/184085553248 2- To write under that post which mobile you would like, after visiting the shop here. 3- To spread the words by sharing this post or the Ptitsmobiles’s page on FB. I will annonce the winner the 5th of April… Who is game 🙂 ?